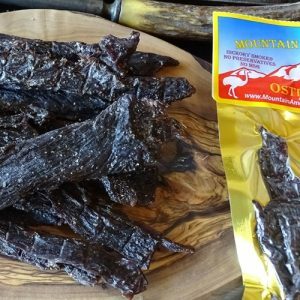 Mt America Ostrich jerky is all-natural free-range ostrich raised without added hormones, antibiotics or animal by-products. A terrestrial animal, ostriches don’t fly so they don’t have breast and wing muscles like other poultry. And, the meat color and flavor resemble beef more than poultry. Fillets which are the most tender cuts come from the thigh. Mt America Bison Spicy Jerky is made from American Buffalo (or Bison) raised with no growth hormones or steroids. A thicker yet chewy cut of buffalo jerky is high in protein, leaner than chicken breast, low cholesterol, low fat, and delicious! It is beefy, not gamey, free range, and is not fed animal by-products, hormones or antibiotics. Flavor – a hickory smoked jerky seasoned with cracked black pepper, crushed red pepper and a touch of cayenne peppers. A medium heat. 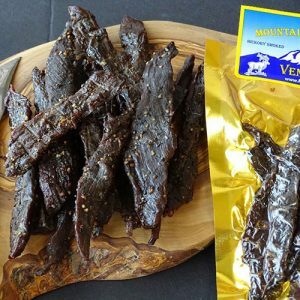 Mt America Habanero Beef Jerky is a gourmet jerky, handmade in small batches every day, this jerky is always fresh! Flavor – a hickory smoked jerky seasoned with a combination of black pepper, crushed red pepper, and the intense finish of habanero pepper. A hot heat level. 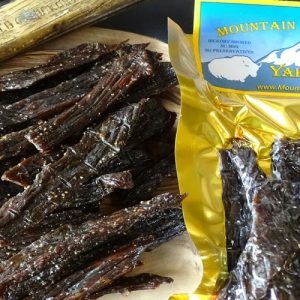 Mt America Spicy Beef Jerky is a gourmet jerky, handmade in small batches every day, this jerky is always fresh! 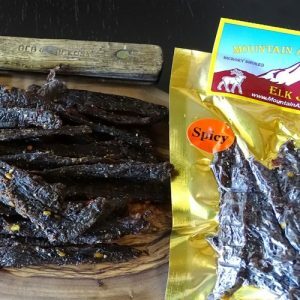 Flavor – a hickory smoked jerky seasoned with a combination of black pepper, crushed red pepper, and a touch of cayenne for a powerful spice blend. A medium heat level. 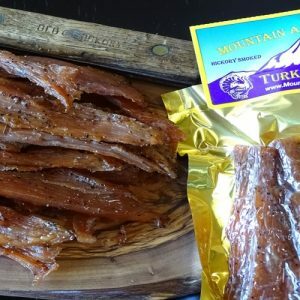 Mt America Sweet & Spicy Beef Jerky is a gourmet jerky, handmade in small batches every day, this jerky is always fresh! 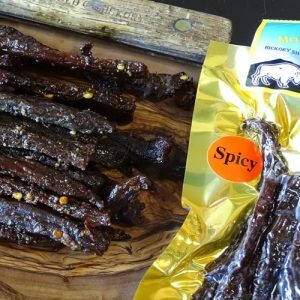 Flavor – a hickory smoked jerky seasoned with hot spices and a sweet flavor. A medium heat level.